Ecco a voi la classifica dei libri più acquistati di questa settimana. Clicca qui per leggere la trama. Khaled Hosseini con il suo E l’eco rispose è il libro più letto di questa estate 2013!! The little girls were beautiful. Breathtakingly beautiful, with the brightest of green eyes. Their home was in a village that could hardly be called a village, more like a collection of shacks out on the windy Shomali Plain north of Kabul. What fascinated Khaled Hosseini on that day in 2009, what has made him go back to that moment in his mind over and over, was how those two girls, those sisters dressed in torn rags, interacted. When Hosseini handed an apple to the eldest — she couldn’t have been more than 6 or 7 — she instinctively passed it to her sister, who was two or three years younger. Others might have seen misery that day; Hosseini saw something sublime. Love. That’s what he saw. “They guilelessly loved each other,” Hosseini says in a tucked-away booth at the Loews Madison Hotel in downtown Washington. 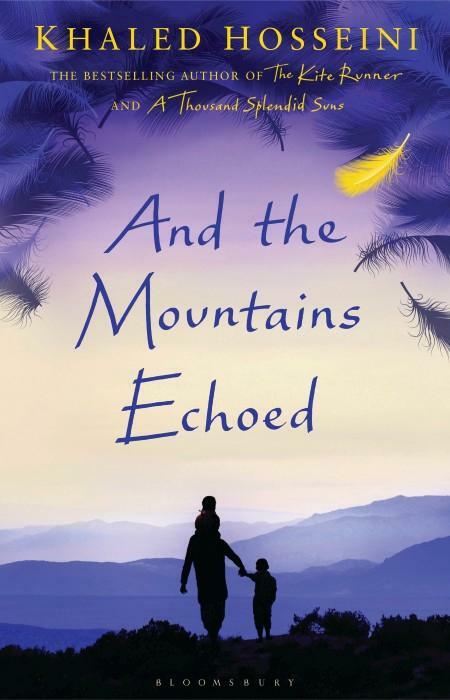 Hosseini kept returning to those girls in his mind in the months that followed as he was writing “And the Mountains Echoed,” a novel that draws considerable emotional power from the tug of sibling love and devotion. The multigenerational saga is the third and most fully realized novel by Hosseini, whose previous works, “The Kite Runner” and “A Thousand Splendid Suns,” have sold more than 38 million copies worldwide. In the decade since the 2003 debut of “The Kite Runner,” Hosseini has become one of the publishing world’s biggest sensations. But the 48-year-old author walks into the Madison lobby in a snugly tailored blue jacket without being noticed. He quietly and politely introduces himself. He is a compactly built man with a close-cropped beard, a man with a soft voice and a serious, reserved manner. He is not one for making grand entrances. He doesn’t glad hand. It’s as if Khaled Hosseini, the famous author, threatens to get in the way of Khaled Hosseini, the observer who wants to melt into the scenery. Hosseini was born in Afghanistan, but his father was a diplomat and the family moved abroad in 1976 when he was 11. They became exiles after the 1978 Afghan coup and were eventually granted political asylum in the United States. He became a doctor, a profession that didn’t feel right to him and that he escaped by writing fiction. Hosseini’s literary success has given him an extraordinary platform, one that he’s leveraged as a goodwill envoy for the United Nations High Commissioner for Refugees and through his Khaled Hosseini Foundation, which focuses on humanitarian projects, such as providing shelter for the displaced. Here is where philanthropy and artistry meet. At their core, both grapple with the effects of displacement and separation. “There’s this primal desire to want to reconnect, to reunite,” Hosseini says. Pari grows up abroad in wealth and privilege, becoming a college professor; Abdullah must eventually flee war-ravaged Afghanistan for the United States, where he opens Abe’s Kabob House in California. Memory keeps alive the sister he lost. He even gives his daughter the same name. The daughter constructs an imaginary sister for herself from the scraps of her father’s memories. Abdullah’s daughter forms a deep friendship with a neighbor boy who becomes a Marine. He returns from the war in Afghanistan in a wheelchair after being hit by a roadside bomb. She wonders whether she should apologize to him because he was hurt in her father’s homeland. Last month, Hosseini went to Walter Reed National Military Medical Center. He met young men who, much like Pari’s friend, came back from Afghanistan in wheelchairs. They were still boys, really, but boys with an arm or leg torn off. He felt a tug. A human impulse. Like Pari, he wondered whether he should apologize. But he wasn’t sure. It’s not as if he represented Afghanistan in some official way. But still there was that pull, that desire to make amends for what happened in the place of his birth, the place from which he’d been severed, not because his family was impoverished, but because his family was exiled. He resisted the impulse, but he kept turning it over in his mind, sifting through the reasoning. Click HERE to read the synopsis of the book.